The origin of some road names in the villages are fairly self-explanatory e.g. Church Road, Station Road and Yarmouth Road. There are others however which have origins not so easily identified. Perhaps some of these have origins that can be traced back through local knowledge. NEWGATE LANE – Suggests that there was an Oldgate somewhere perhaps. Gate is Viking for road or street; so perhaps it just means a new road, but possibly a very old name. It follows the line of the Middle Drain which was tidal in days gone by. Viking boats coming up to Kirby Cane is a very real possibility. WARDLEY HILL – This name was changed from Galloway Lane, but where does Wardley come from? FLORENCE WAY – Is one of our newer roads and was named after a local lady who looked after the Memorial Hall for many years I believe. What else do we know? 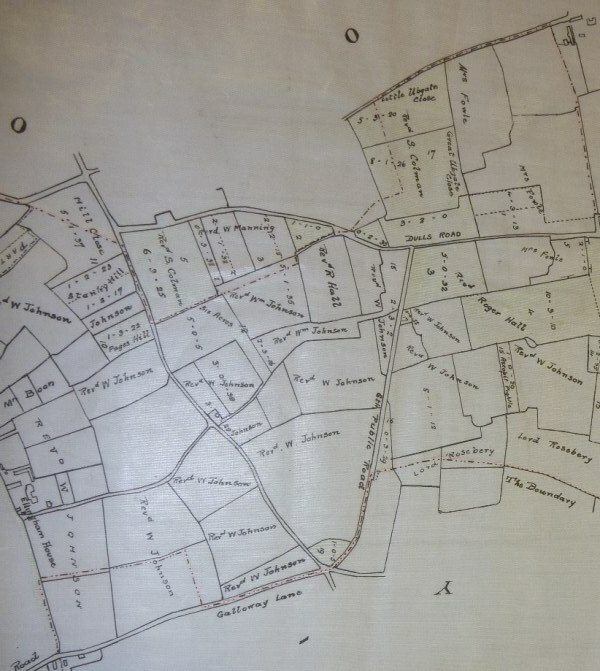 LOCKHART ROAD – Another of our newer roads; who was Lockhart? CRISP ROAD – Named after Major Crisp probably as it is he who appears in the council minutes for many years as Chairman of the Parish Council. NURSEY CLOSE - Any clues? MILL ROAD – Self-explanatory; there was a windmill in Mill Road at one time and also it seems there was a steam mill. Is this so? BRACES LANE and BUTTERFLY CORNER – Any clues out there? LITCHMERE LANE – Could it be connected with the gallows and coffin carrying? RAYNERS LANE – We know that there was a house in the lane at one time; was this where the Rayner’s lived?